Frida fans of all ages will delight in this fabulous paper doll set celebrating the artist and fashion icon. Included here are thirty of her signature ensembles, plus a bonus paper doll of husband Diego Rivera with two outfits of his own. 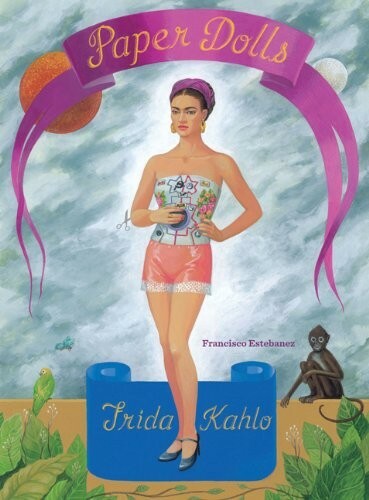 For more about Frida Kahlo, visit A Mighty Girl's Frida Kahlo Collection. For more girl-empowering paper dolls sets, visit our Paper Doll Collection or, for dolls of all varieties, visit A Mighty Girl's Doll & Action Figure Collection.